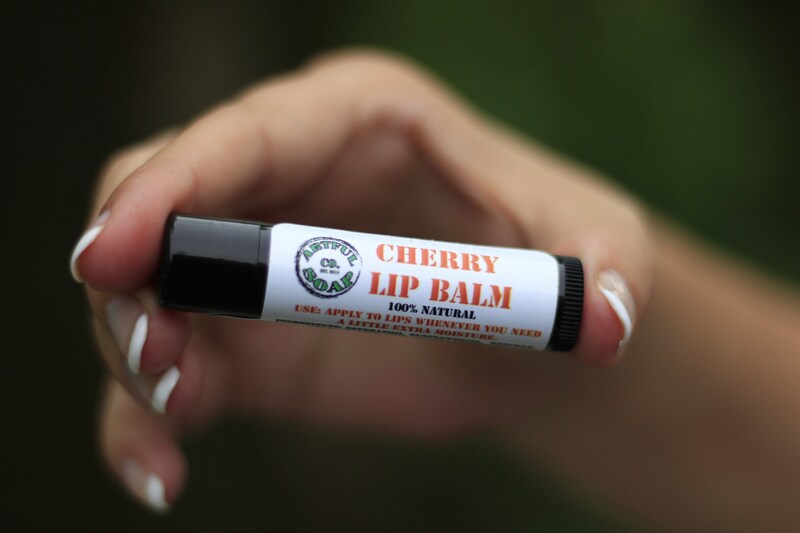 Cherry Lip Balm, Natural Lip Balm, Lip Balm, Handmade, Natural. The most classic lip balm flavor! This lip balm has a light cherry smell and flavor. Made with all natural, nourishing oils, our lip balm makes lips soft and kissable! The oils and natural butters soak into lips for healing and moisture while the beeswax will seal and protect against moisture loss. Note: Our lip balms do not contain any SPF protection from sun exposure. They are simply the best moisturizing lip balms you can find and great for after sun healing. Allergen Warning: Product contains raw oils, soybean oil, nut butters and plant extracts. Do not use if you are allergic to any of the ingredients.